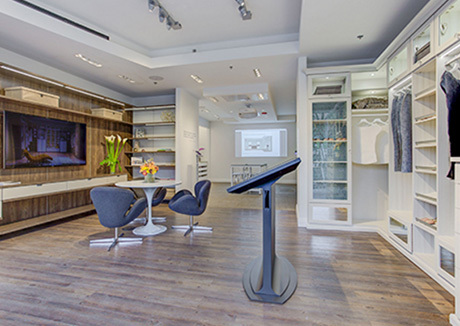 The Cherry Creek Design Studio is our newest location that offers beautiful displays of product offerings and an expansive, interactive design center for clients to work directly with our talented design team. We are located in the heart of Denver’s design community in Cherry Creek North on East 2nd Ave between Fillmore and Milwaukee. 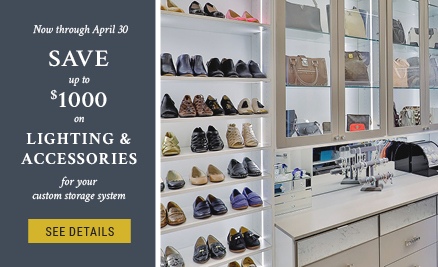 When you are ready to explore custom ideas and solutions for your space, please visit us or schedule a complimentary consultation. 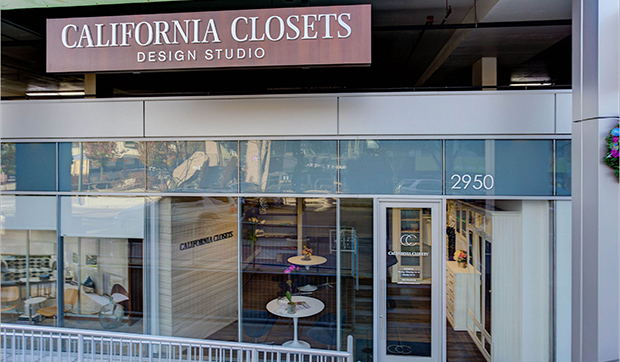 Visit the California Closets’ first, state-of-the-art Design Studio in Cherry Creek North. 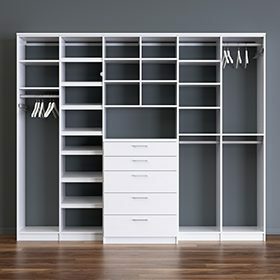 Reflecting the company’s belief that exceptional design transforms people’s lives, the new Design Studio concept provides a dedicated environment where clients—including clients and their interior designs —can collaborate with California Closets’ design consultants to create custom storage and installed furniture solutions for any area of the home. As you interact with the life-size systems, you’ll start to get a feel for the quality construction and the details that will work best for you and your home. 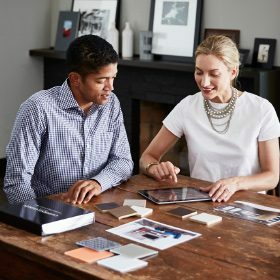 The team will also help guide you through the variety of finishes, accents and accessories available, helping you find the perfect match for your aesthetic and budget. Simply great, from start to finish. No problems encountered. 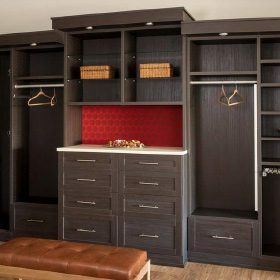 We had four closets done and love them all!